Itasca, IL – We Raise Foundation recently approved five grants totaling $250,000 that will assist Christian organizations working to build healthier communities. The GrantsPlus Program supports new and innovative programs and grants of up to $50,000 over two to three years are offered. 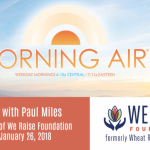 GrantsPlus recipients participate in capacity-building activities offered by We Raise during the term of the grant, including webinars, convening events, workshops and consultations. Table Grace Ministries, Omaha, Neb. Since 2011, through its “Pay-What-You-Can” Table Grace Café, Table Grace Ministries has fostered a healthy community by offering great food prepared and served in a graceful manner to anyone who walks through the door. With the grant, Table Grace plans to add a “Pay-What-You-Can” Food Truck as an extension to its Café, allowing it to increase the number of people they equitably nourish by 40%. The grant will also enable the expansion of their 10-Day Job Readiness program by 20%, and create 30% more neighbors among strangers throughout Omaha by growing their fellowship outreach. Redeemer Lutheran Church, Park Ridge, Ill.
Every week, more than 10,000 men and women are released from state and federal prisons across the country. Nearly 650,000 people are released annually from prisons, while an additional 9,000,000 are released from jails and detention facilities. Studies on recidivism reduction from the Bureau of Justice show that some of these returnees have a warm and effective support network to come home to. Most do not. Still, everyone struggles because of the twin evils of isolation and invisibility. Redeemer Lutheran Church plans to combat these problems and add value to the entire reentry system by creating an effective Inside Out Network. This network will be comprised of those working inside as well as out of prison, a powerful interactive website connecting returning citizens with service providers, and specialized small group Bible studies. Cabrini Green Legal Aid, Chicago, Ill. Despite misconceptions, over 95.5% of juvenile arrests nationwide are for nonviolent offenses, and for the majority of juveniles, this arrest marks their only formal interaction with law enforcement. Rather than becoming dangerous or habitual offenders, most arrested juveniles make a single youthful mistake. And yet, every one of these individuals has a juvenile record – regardless of whether they ever end up being found guilty or even formally charged with committing a juvenile offense. Cabrini Green Legal Aid (CGLA) aims to build the capacity of its Emerging Adults Program by providing high quality and comprehensive legal services to young people who are negatively impacted by the criminal justice system and are experiencing barriers to employment, education, and housing as a result of an arrest or incarceration. CGLA’s goal is to ensure that youth are able to achieve long-term positive outcomes by increasing access to criminal records relief and by removing the direct and collateral consequences that impede one’s ability to become a contributing member of society. Breakthrough Urban Ministries, Chicago, Ill. 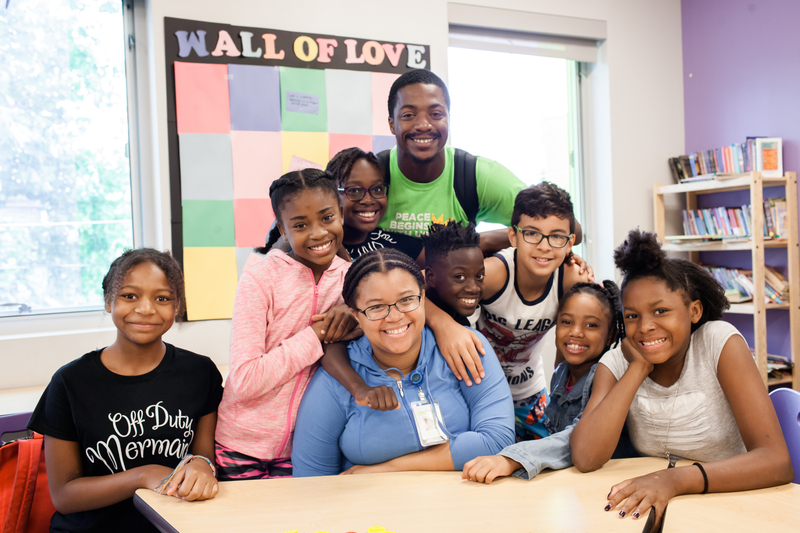 The Nettie Bailey Student Achievement Program (NBSAP) is an after-school and summer program that is a key initiative of Breakthrough Urban Ministries’ youth education and development strategy. The local elementary school that many Breakthrough children attend is 96% low-income, only 14% of elementary students meet grade level academic benchmarks, 2% of high school students are on-track for college, and there is a 12% high school drop-out rate. Funding from We Raise enables the NBSAP to restructure and expand over the next two years with additional classrooms and staff. The goal of the NBSAP is to increase student academic achievement by creating a pipeline that enables students to both meet academic benchmarks necessary for entrance into high school and on-time graduation and develop as positive young adults to be academically successful. Luther Place Memorial Church, Washington, D.C. In response to rising rent and stagnant wages for low-income, immigrant, and service industry workers in the Logan Circle neighborhood of Washington, DC, Luther Place Memorial Church plans to develop the Steinbruck Center Cooperatives at Luther Place, incubating worker-owned businesses, and creating and supporting an ecosystem of worker-owned cooperatives. Luther Place leadership will convene listening and teaching circles, provide technical support and administrative services for teams of workers focused on creating living wage work in traditionally low-wage service sectors that are in high demand in a gentrifying context. They plan to start with house cleaning and then branch out into other services, such as laundry and catering.